Europe is skilling up in digital – the fifth edition of EU Code Week will take place 7-22 October 2017. Join the celebrations and learn how to express yourself with code. Create an app, a game, a website, make an interactive story or why not tinker with some hardware or make a robot move? Organise coding events for your parents, grandparents, friends or children and colleagues and help them understand and become active in our digital world. EU Code Week is a grass-root movement run by volunteers who promote programming, computational thinking and related activities in their countries as Code Week Ambassadors. The aims of this initiative are to show how people can bring ideas to life with code, to make programming more visible and bring motivated people together to learn. Anyone is welcome to organise Code Week events and all event organisers – schools, non-for profit organisations, businesses, libraries, code clubs etc. – add them to the codeweek.eumap that serves as a catalogue of coding initiatives. 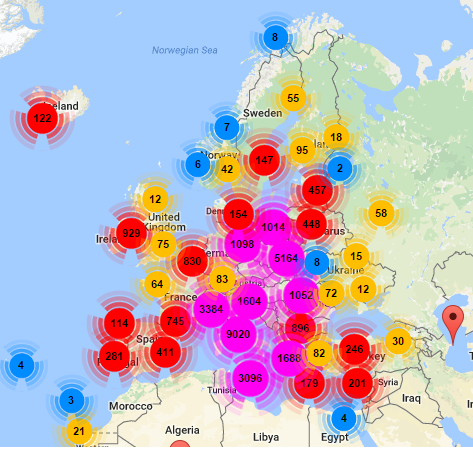 Since 2013, the Code Week initiative organised more than 33000 coding events in +50 countries in and outside Europe. In 2016, almost a million people participated. out of which 46% were girls or women. Getting ready for Code Week: On 30th June the Code Week Ambassadors will be meeting in Brussels for a Code Week hunting game across the city! Follow the events on Facebook and Twitter. Organise your own coding event and add your event to the map! Check out the Code Week map and take part in a coding event. Contact your Code Week ambassador. CodeWeek4All challenge – Challenge your school to engage all its students in coding events and get a Certificate of Excellence in Coding Literacy from the European Commission. As part of the Digital Single Market, the European Commission promotes various initiatives aimed at increasing digital skills for the workforce and for citizens e.g. the Digital Skills and Jobs Coalition and EU Code Week. The Commission supports communication activities and invites the Code Week ambassadors to two meetings per year. Some other partners offer other forms of support i.e Google grants money this year for innovative events targeting children aged 5-18.